Olive oil is one of the oldest and most natural ingredients in the world. It has been one of the most valuable and versatile oils through the ages, revered for its culinary and medicinal properties and health benefits. The olive oil tree is an evergreen which thrives in areas where the summers are long and hot and the winters relatively short, hence the popularity in Mediterranean climates. The climate and growing conditions of the Hunter Valley and the areas surrounding our property are particularly suited to the cultivation of these wonderful and handsome trees. 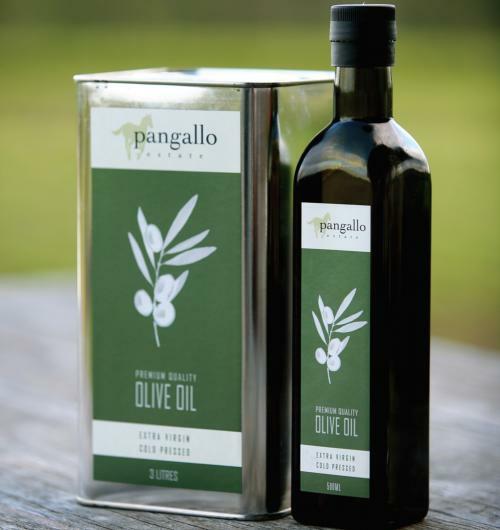 Our beautiful extra virgin olive oil is single varietal using only Corregiola olives, 100% grown at our Richmond Vale property. Hand picked and delivered from harvest to pressing within 24 hours, this time frame allows the retention of as many natural characteristics and olive flavours as possible. It ensures freshness and results in an exquisite oil of uncompromising quality.